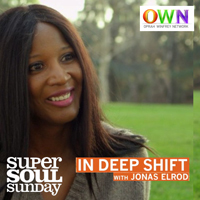 Ester Nicholson will be the featured subject of “In Deep Shift,” Jonas Elrod’s new hit program on the Oprah Winfrey Network (OWN). The 30 minute program will feature Ester, her daughter Shawtee, Dr. Michael Beckwith and other influential people in her life, tracing the extraordinary, transcendent journey from cocaine addiction and domestic violence to self-realization as a therapist, teacher, public speaker and author of: Soul Recovery - 12 Keys to Healing Dependence. Be sure to tune in to the OWN Network RE-BROADCAST on March 15th at 12:30 Noon Eastern/Pacific time, following the Super Soul Sunday program. Please see www.oprah.com for more details. Soul Recovery is 2014's "Book of the Summer"
A special week-long study intensive: 12 Steps to Wholeness, Serenity & Success is coming up June 14th through 23rd at Chicago's Bodhi Spiritual Center, featuring Book-Of-The-Summer author, Ester Nicholson in a series of workshops, talks and group sessions. This event is part of Bodhi's focus on addiction and recovery for Summer 2014. 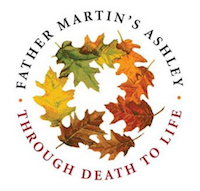 Soul Recovery author, Ester Nicholson appeared at the annual Father Martin Ashley Women's Luncheon as this year's keynote speaker, electrifying the assembed group of more than 400. 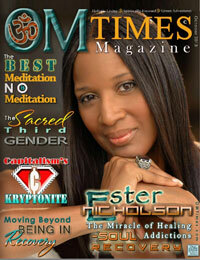 Ester Nicholson honored with October's cover story in OmTimes Magazine! With multiple articles, interview segments, video, audio and more, the gorgeous and ever popular online magazine, OmTimes, features Ester's Soul Recovery story as the focus of their October edition! Please visit: www.omtimes.com for more information! Hay House Radio Top 10! September 16, 2013 - Ester's compelling radio show Soul Recovery - 12 Steps for the Rest of Us on Hay House Radio (hayhouseradio.com) is now among the Top 10 programs on that channel—after only 5 weeks since launch! The show is available for listening live, every Thursday at 3PM Pacific time, and is available for replay the following Monday. Feature on San Diego Living!